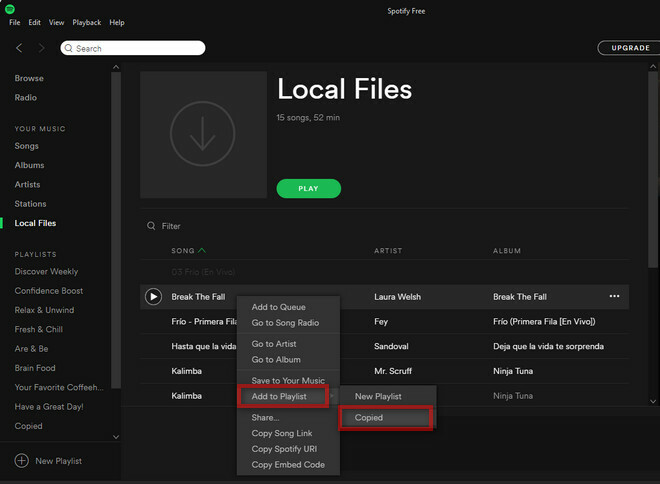 One of the unique aspects of Spotify is that it blends a typical streaming music service with the playback of music you have stored on your own PC. This way you can supplement Spotify’s 30 million-track library with other tracks you own that don't appear in the Spotify database of tunes. 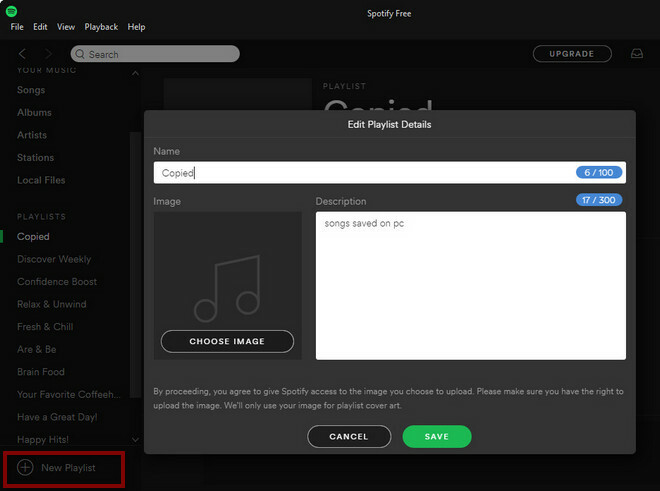 Normally, when you install the Spotify app successfully on your computer, the program will automatically search and sync locally stored music on your hard drive. But, what if you've got a collection of MP3s spread across several folders or even external storage? 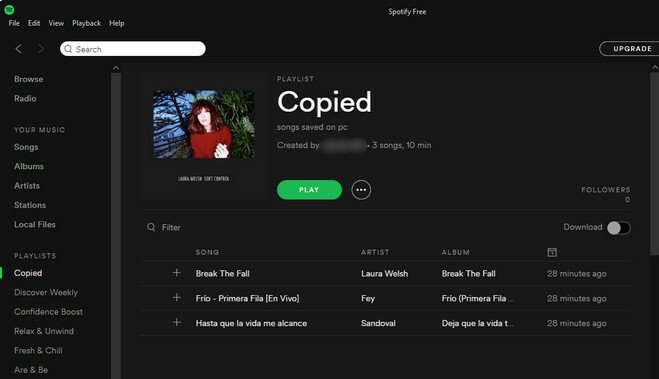 Spotify obviously won't know about these, so sometimes, you have to manually add these tracks. Then scroll down to Local Files and select ADD A SOURCE. 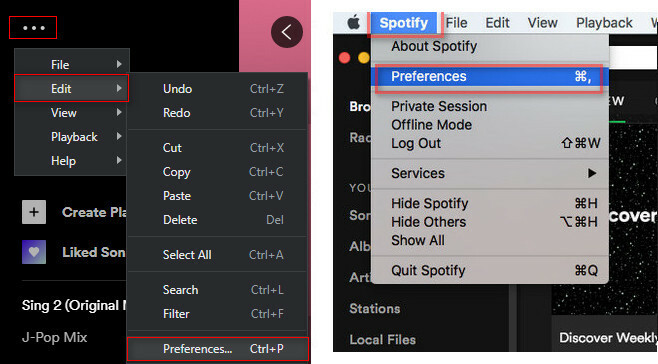 With the folder added, any non-DRM restricted music contained within will be immediately imported into the Spotify library. Then you will see the music added under the Local Files tab in the main menu tree. 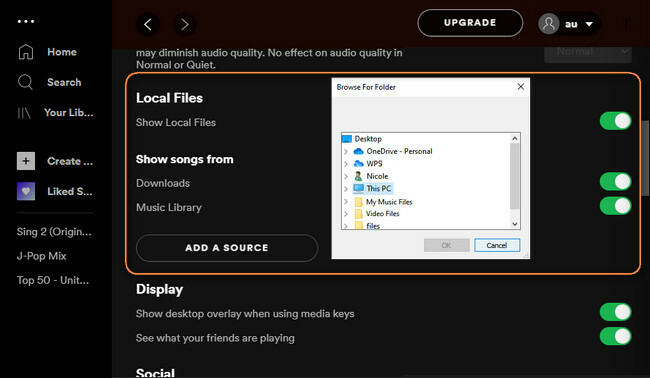 Once the playlist is ready, jump back over to the Local Files tab, and add the song you want synced to the playlist. 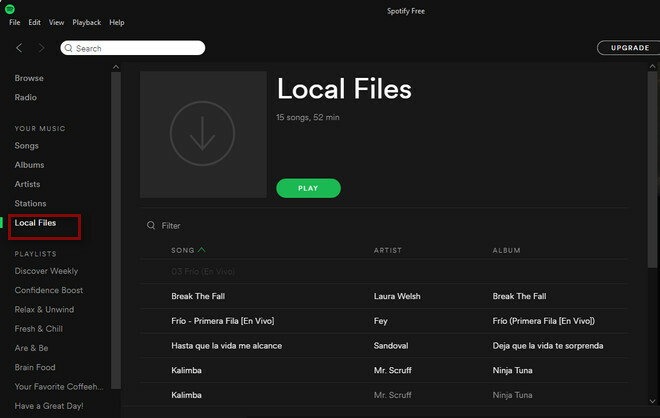 Now you can freely enjoy your local music tracks on Spotify. Note: Spotify supports only .mp3, .mp4, and .m4p files. Not includes .mp4 files that contain video. If QuickTime is installed on your computer then .m4a files are also supported. 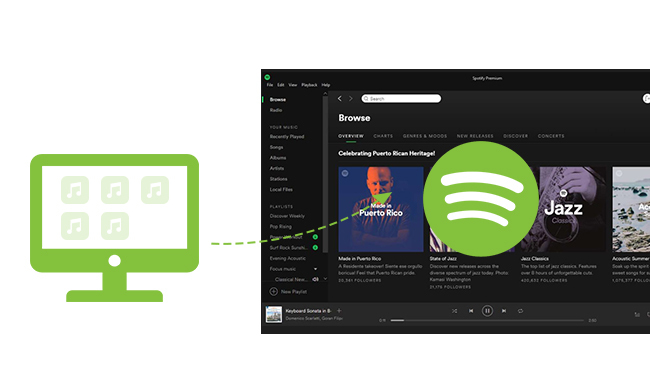 If you are also looking for a way to be able to play Spotify music or "local Spotify files" from your desktop to Android device without downloading Spotify, there is a very useful Spotify Music Converter to help you solve the above problems. Spotify Music Converter which is an awesome Spotify Music downloader assists you to directly remove DRM from Spotify Music or Spotify playlist and convert to MP3/ AAC/ WAV/ FLAC, so that you can use Spotify music more efficiently. After Conversion, all your ID3 tags would be kept successfully. 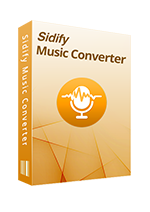 Note: The trial version of Sidify music converter for Spotify allows 3 minutes conversion. You can purchase the full version to unlock the time limitation.